Don’t let this Valentine’s Day take you by surprise. We’ve created a list of ideas to turn date night into a great night! A nice dinner out of the house can often be a great change of pace and an excellent treat! Try something new by taking your loved one to Joia Ristorante in Aurora or Fishbone Restaurant in Stouffville for a fine dining and “wine-ing” experience. Want to stay in? A homemade dinner could be just the thing to set a romantic mood. If possible, get all your ingredients before Valentine’s Day so you don’t have to rush on the 14th. Check out these 50 Romantic Valentine’s Day Recipes for ideas. 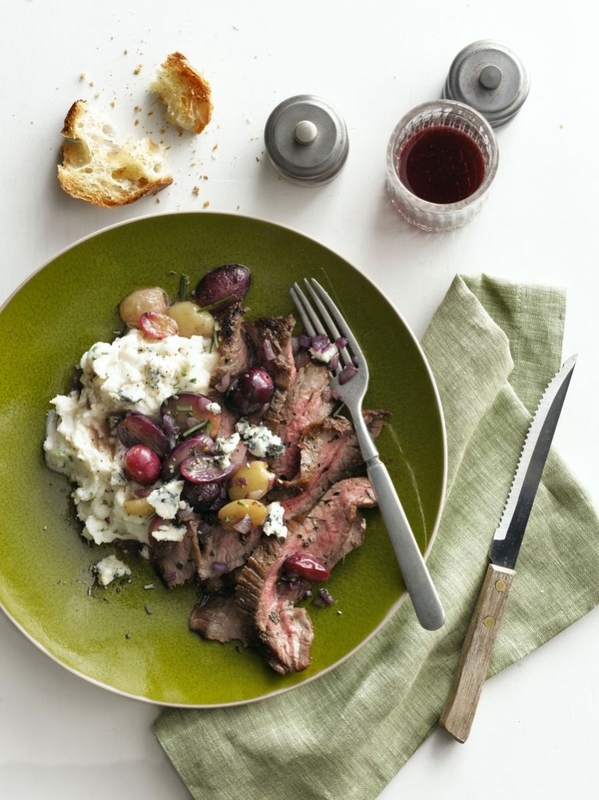 Have fun in the kitchen together and work as a team making this mouthwatering Herb-Garlic Crusted Flank Steak with Pan-Roasted Grapes. Too tasty to pass up! Consider trying something different this Valentine’s Day by adventuring outdoors! 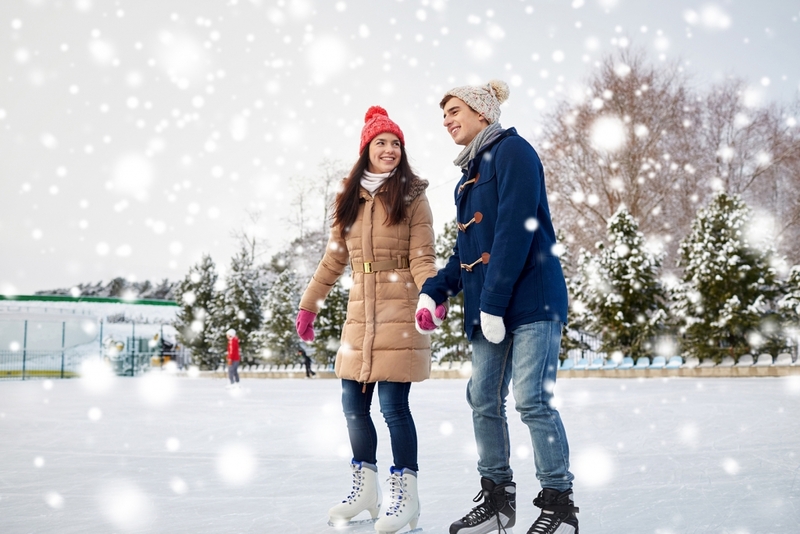 Ice skating is a romantic way to spend a Valentine’s Day evening, particularly with communities holding public skates often throughout a week. Whether indoor or outdoor, skating is a great Valentine’s Day activity. When the weather is unpredictable, make staying warm at home a fun alternative with a scavenger hunt! Have you and your partner each make a list of 10-15 items, and then exchange lists. You’ll have a great time looking around the house to complete your lists! Create your own tropical paradise. Visit the dollar store for some fun, tropical items. Decorate your room to make you feel like you’ve travelled afar. The finishing touch? Some island drinks and treats to make you feel like you’re celebrating beachside! 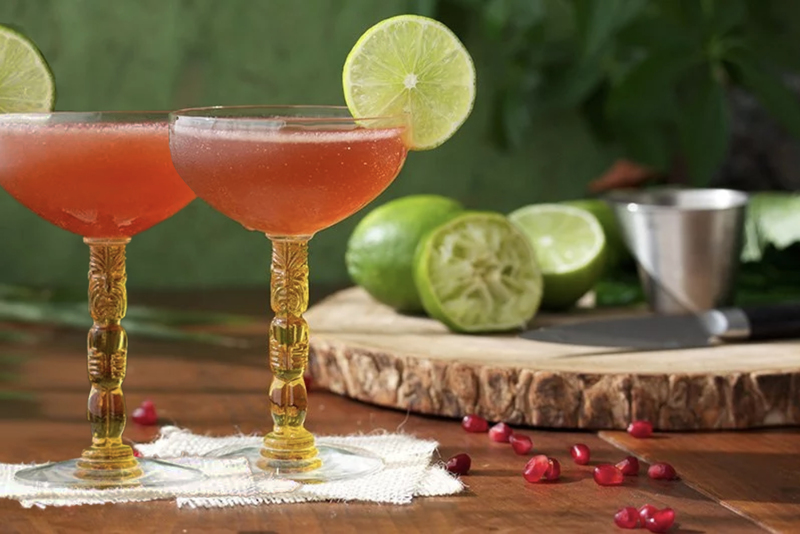 Turn your home into a tropical getaway, with fun cocktails like this Floridita. When it comes to gifts, a DIY homemade gift adds a heartfelt touch. An engraved candle with each other’s initials is very simple to construct but can speak volumes. 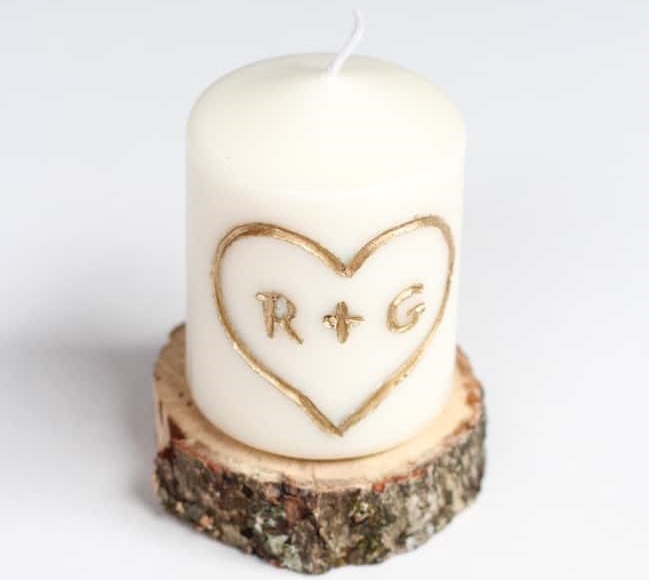 A DIY candle with each other’s initials makes for a great heartfelt gift. If you were considering flowers, spice them up with a home-designed mason jar. It will add a nice personal touch. Don’t forget about your pet! A themed gift for your pet, like this heart dog scarf, can highlight your love for your partner, while also spreading love to the pet you raise and own together. 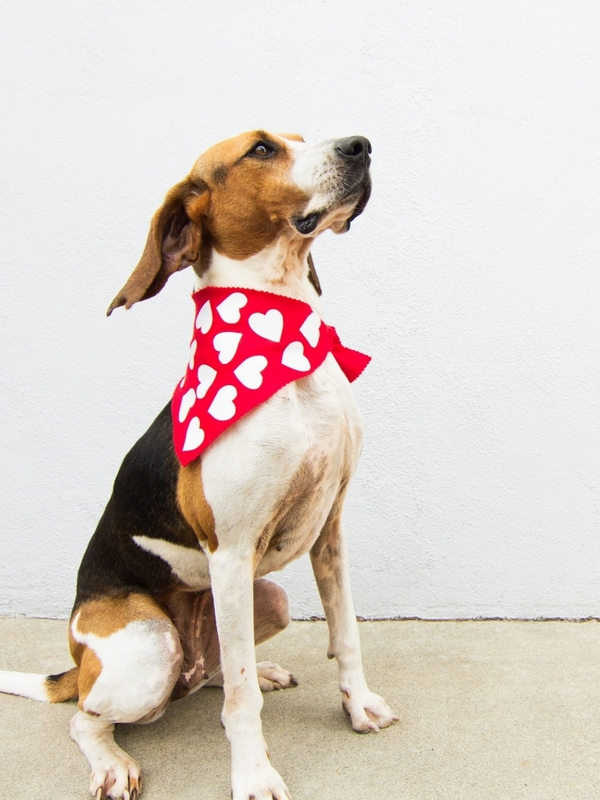 Let the pets join in on the love with a homemade heart scarf. Finally, themed couples gifts are always a cute go-to for Valentine’s Day. Matching robes, coffee cups or watches can give a nice daily reminder of the love you share. Additionally, a custom song print of “your song” can give your house a bit of unique decor that could be shared with others, or kept as your own keepsake. His & Hers vows, dog tags, bathrobes. Bed, Bath & Beyond has many personalized ideas for couples. 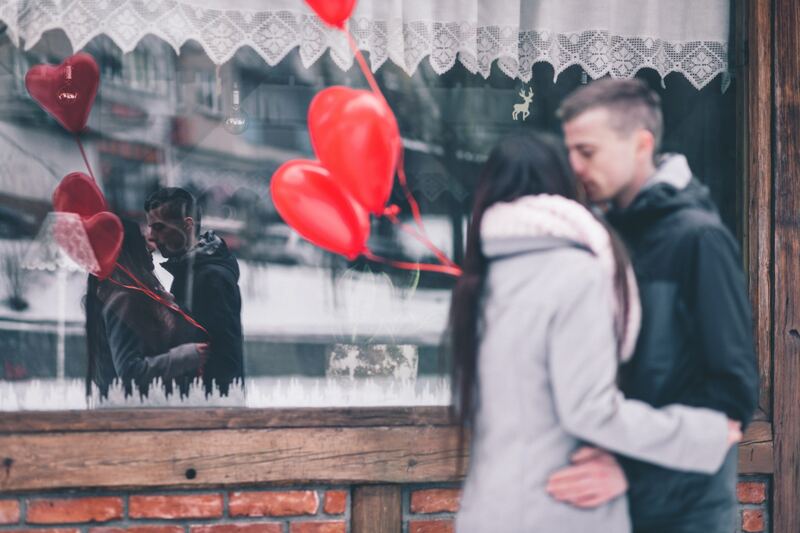 Spend more time this Valentine’s Day with your loved one instead of stressing about the day.